A new study by Monterey Bay Aquarium researchers indicates that gaps in the kelp canopy may be a contributing factor in the increase in southern sea otter mortality from white shark bites in California. 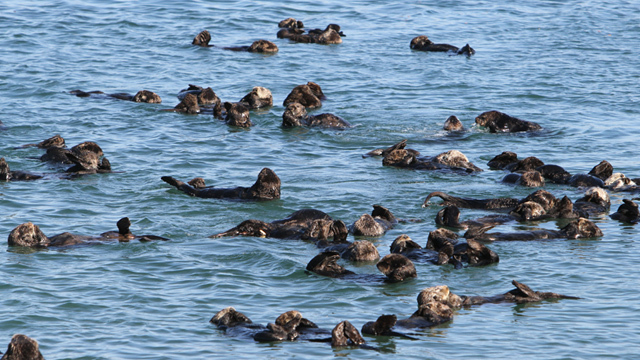 Research suggests sea otters have reached carrying capacity throughout much of the center portion of their California range. Sea otter range expansion at the northern and southern ends of the range will be critical for continued recovery but unfortunately these are the very areas where the increase in shark-related mortality has been greatest.